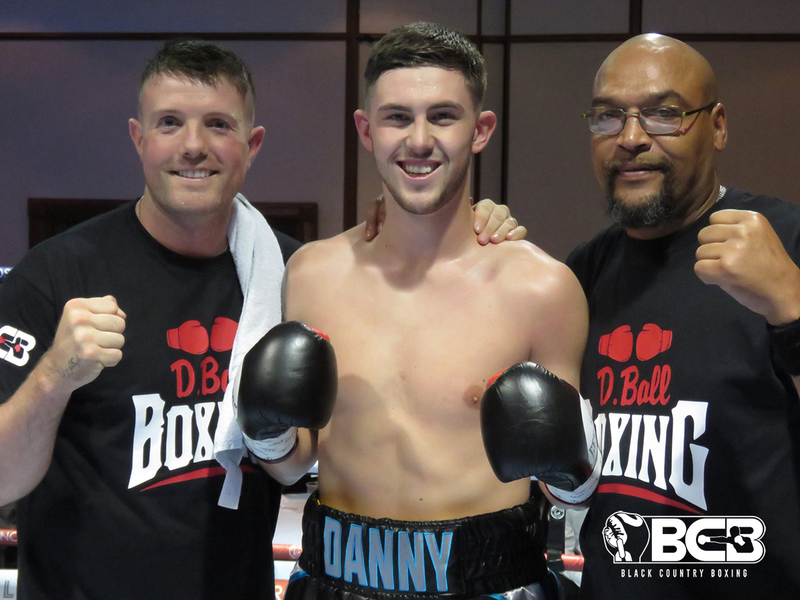 Danny Ball is looking to build on his explosive start to professional boxing with another eye-catching performance on BCB Promotions’ ‘The Class of 2018’ at Walsall Town Hall, Walsall, on Saturday, 3rd March. The 21-year-old has only done six rounds overall in his first three fights, with his scintillating power ending two of his bouts prematurely in the first round. Despite his early success, the Kingswinford pugilist told bcb-promotions.com he still feels he has a lot to improve on and he is hoping for a tough test in this next contest. “I couldn’t have asked for a better start to my career,” he said. “But this is just the start and I just have to keep focused and keep it up. “The stoppages do give me confidence and I know I have good punching power so I can always pull something out the bag. “It looks good on my record too because it shows people that I am an exciting fighter. “But there is still plenty to work on. I want to build on my fitness even more and I want to get a few more rounds under my belt. “I haven’t done many rounds so far because I have stopped people so I still need work on how to pace myself for when I do the longer rounds. The super welterweight has been matched against the tough Danny Little, who stopped previously unbeaten Jordan Clayton last time out. Ball has promised to make it a spectacle in his final four round bout before moving up to six round fights later in the year. “I want to make it exciting and give the fans something to enjoy here,” he added. “I think I am fighting Danny Little. He is an experienced fighter who doesn’t really get stopped so I am expecting to do the whole four rounds here. “I will try and get him out there and if I do manage to stop him then it will send out a real statement and should open more doors for me. “He comes to fight and he does have much more experience than me. He knows when to fight and when to protect himself so it will be a difficult one definitely. “I want to step up to six rounds and then just take it step by step from there and go for the title at the end of the year. “Hopefully there will be a title fight at the end of the year. If I get another stoppage then I should get fast tracked to bigger things. ‘The Class of 2018’ – sponsored by Grosvenor Casino Walsall – sees Walsall super welterweight, Levi Ferguson, Wolverhampton welterweight, Gareth Gardner, and Wolverhampton based Pole, Damian Kiwior (welterweight) all fight for the first time. They are joined by Walsall bantamweight, Humza Ali, Wolverhampton cruiserweight, Antony Woolery, and Ledbury super lightweight, Alex Florence.